I took over as chair in October following John Shead’s well earned retirement to the wilds of Norfolk. His last summer has seen a number of successful rides for example by train to Arlesley and riding back and the usual stalls at the Welwyn Petit Tour and local health fests. John also sought the views of candidates at the snap General Election which we posted on our website to aid members voting decisions. We’ve decided to focus more on campaigning than on rides and as a result took the decision to reduce the rides programme over the winter months. After the post-Christmas Tour de Hatfield, our next ride wasn’t until April when a large group visited Scott’s Grotto in Ware via a lunch stop at Serendipity in Hertford, who kindly opened their new café on the very same day. 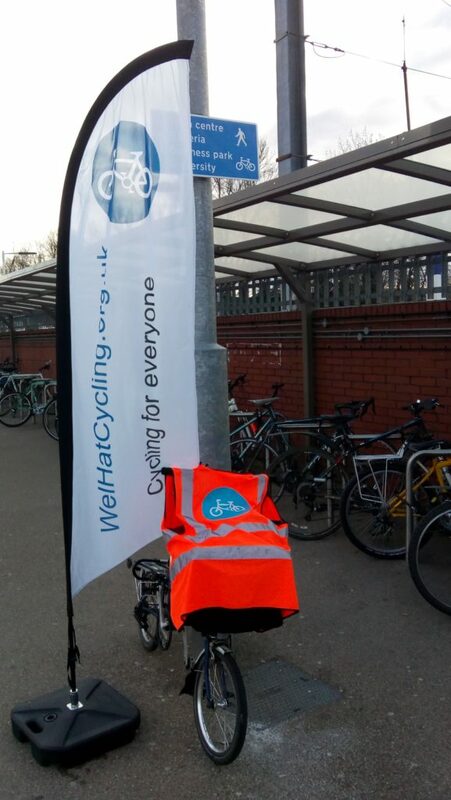 In March we took time to leaflet local cyclists at Hatfield and Welwyn Garden City stations to raise awareness of the group. If you are on our Facebook or Twitter, do please share with friends as word of mouth helps get us known. We have also spent time commenting on plans, most notably the Welwyn Hatfield Local Plan (Roger Moulding attending discussions for the group), Hertfordshire County’s Local Transport Plan 4 and Welwyn Hatfield’s 2030+ plan for Hatfield. In all cases there is a recognition that we cannot build more roads to solve transport problems and there has to be a switch to walking and cycling, especially in towns like Hatfield and Welwyn Garden City. Our cycling tube maps are a reminder of how far we still need to improve cycle routes, especially in WGC. The big question is how this will be achieved and how it will be funded. The case is urgent and pressing as in the 15 years of transport plans for the county, there has been no shift away from the car at all. This has to change. I’d particularly like to thank committee members, David Dixon, Ian Gregory, Roger Moulding and Chris Whitehouse for their continued commitment of time and energy to WelHatCycling. Without them, none of what we do would happen.